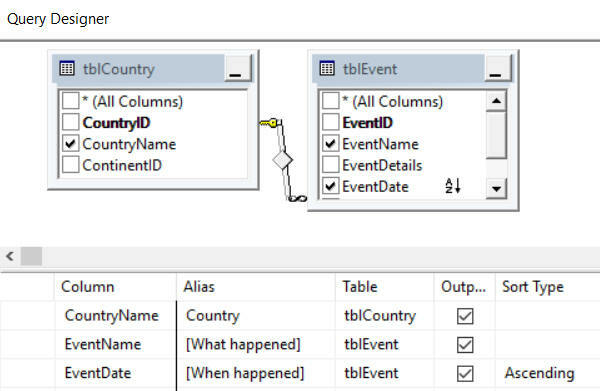 Choose to show the country name, event name and event date in ascending date order, giving aliases to each column. The first few events listed. Save this query as Superb Quality Layout, then close it down.